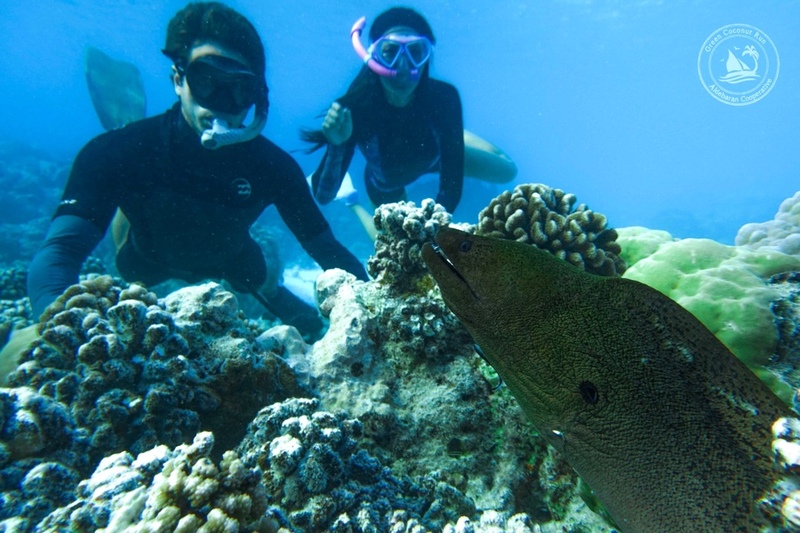 The locals in the French Polynesia all claim the Moray Eels are more dangerous than the sharks. “They’ll defend their territory if you get too close without realizing,” they warn. The Morays hide deep within the rocky reefs, and they don’t like visitors encroaching on their doorway. So don’t get too close!